The Small Business Guide to Getting a Logo Done Right - iSmallBusiness.com - Small Business Stuff That Matters...Pass It On! A logo is more than just the symbol that adorns your Web page, your business cards and your product packaging (if you have it). A recent study found that logos are crucial in forming brand familiarity – children begin to understand and pick favorites from logos before they’re capable of learning to read. If you want people to recognize your company and develop a sense of comfort with your brand, you’ll need a clean, professional logo. But where do you start? As with anything else, the Internet makes it a thousand times easier to get the perfect logo designed for your company. Instead of blindly searching for the right tools or the best artist, however, try following our guide. Even if you’ve created logos for businesses before or have attended some form of graphic design school, don’t bother trying to create the logo yourself. You may believe your artistic talent will produce a great logo and save you from having to shell out the money necessary to pay an artist, but a good logo requires a fresh look at the business in question. As the company’s founder, you have an extremely comprehensive view of your business and the many changes it’s gone through; your view of the company may not be exactly what you want potential customers or clients to see. When you hire an artist, you have the opportunity to sum up what impression you want to give people and hand off the responsibility of forming that impression into a small, concise piece of art. Your niece or a friend-of-a-friend may be a great artist, but don’t assign them to your logo project until you’ve seen samples of their work. Artists who produce watercolor paintings, charcoal sketches and even some forms of computerized graphic art won’t necessarily be good at logo design. Seek out someone who has produced logos for companies in the past and take a look at their previous work. Feel free to ask the artist questions as well; you have the right to ensure someone will properly fulfill your company’s needs before handing over the cash. Having trouble finding the right artist? 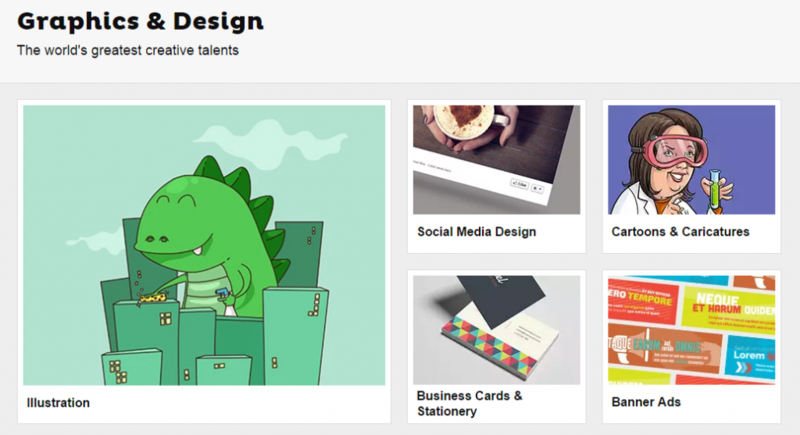 Plenty of freelance websites host pages for artists who design company graphics on a project basis. Freelancer allows artists to approach you based on whether they believe they can suit your needs; Fiverr collects designers, writers, musicians, and other creative minds who offer their creative services for $5 or more. Upwork, formerly known as Elance and oDesk, allows you to view freelance workers’ ratings and reviews before requesting that they work on your project. Finally, 99Designs, a unique graphic design source, allows clients to pick from a slew of logos created specifically for their businesses. If you suspect that you’ll need a graphic designer later on in the development of your business (for advertisements, brochures, infographics, and so on) and would like to establish a long-term partnership with someone, feel free to ask around for artist recommendations; but as formerly emphasized, make sure you take a look at the artist’s former work. Fiverr allows you to choose from hundreds of graphic designers who offer their services for $5 or more. 99Designs hosts a “contest” during which multiple artists submit possible logos for your business. It’s up to you to pick the best one! Company name. Will your entire company name be incorporated into the logo, or will the logo go next to the name on your website and official stationery? Furthermore, will the logo replace the company name entirely in places like these? Remember that logos inclusive of the company name are longer in physical length, like Coca-Cola’s logo – unless they’re encapsulated in some kind of bubble, like this. Shape. In the age of social media, a company’s logo should be able to comfortably fit into a square. Most social platforms, like Facebook, Instagram, Twitter, and others, require that “profile pictures” fit into a square-shaped box for display next to photos, status updates and more. Wide logos may technically fit within that square, but they’re smaller and less visible in the context of social media. Logos that touch all four sides of a square are more recognizable, even if their actual shape is that of a circle. NASA’s logo, a circle with a few elongated touches, is bold and easily discernible even in a tiny social media profile square. Color. Your company’s logo should be recognizable in black-and-white as well as color – but when your colors do shine, they should say something about your brand. 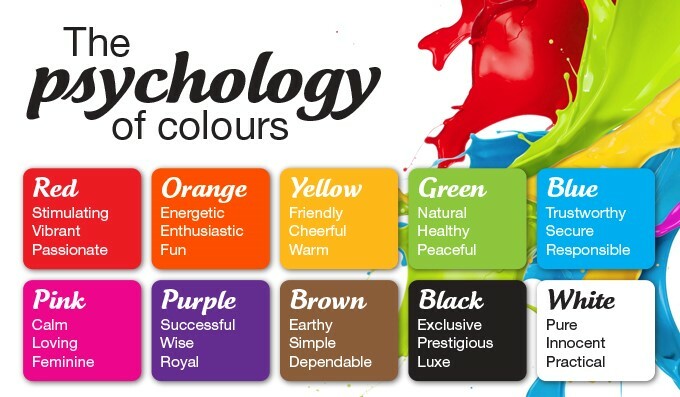 Pick one to three colors for your logo to avoid overstimulating potential buyers, and keep color psychology in mind. Pink and purple are often used to represent businesses aimed toward women and girls, like Curves, a nationwide women’s fitness and weight loss facility, and Justice, a girl’s clothing store. Warm colors, like brown, yellow, and red are frequently incorporated into logos designed for restaurants and cafes, as they’re said to stimulate the appetite. Green implies a mission to preserve the environment; black symbolizes neutrality. Consider the main colors on your company’s website as well; your site, logo, social media pages, business cards, and other marketing tools should cooperate, not contrast one another. Present your new logo to those who know little to nothing about your business. Ask them what industry they think the logo is a part of and who the target audience is. If they’re slightly off, provide a quick summary of your company and show them the logo again. Does the design make sense to them now? Will they easily associate your logo with the company’s mission in the future? Remember that several companies’ logos evolve over time. Even those that you love and easily recognize today will likely change in the future. It’s okay if you sense a change in your business later on and choose to redesign your logo, so long as it has enough in common with the original version to avoid confusion amongst its viewers. The birth of a shiny new logo for your company is an exciting process. Remember that no matter what design you and your graphic designer choose, your logo should closely represent your business and remain memorable to its viewers.